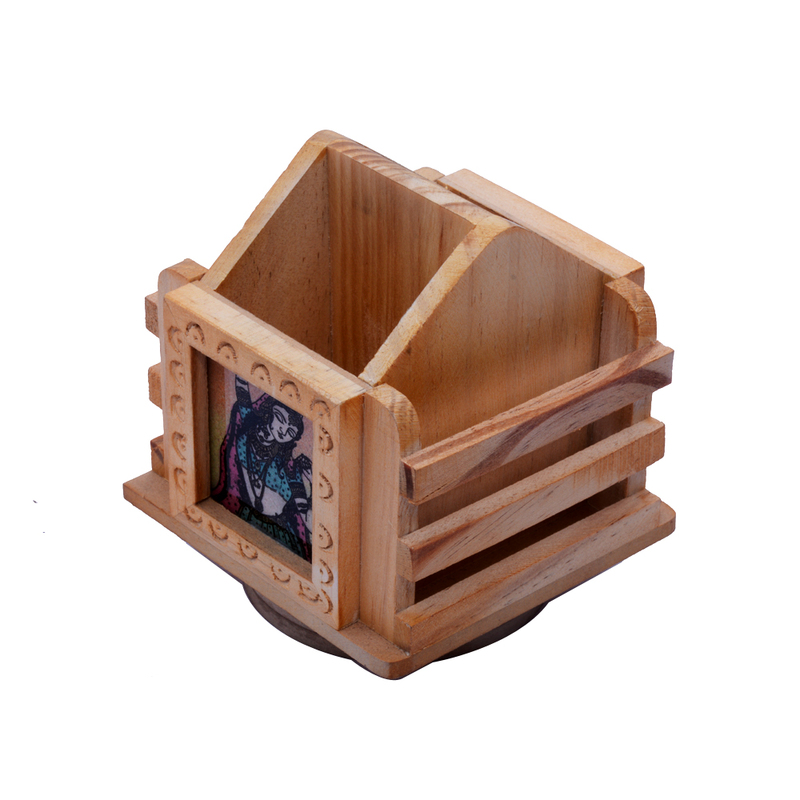 This Traditional Office Use Card Holder and Pen Stand in Wood will surely leave your visitors impressed if you opt to adorn your office space Read More..with this item. The beauty of this product lies in its practical application, which accentuates the intricacy of its aesthetic appeal. This meticulously carved item boasts of traditional art forms to make it a sight to behold, while boosting the sense of aesthetics of its owners among their peers. Show Less..